At the OSO centre we provide the surgical phase of placing an implant. This involves surgery to lift a gingival flap and insert the implant in to the bone. We work closely with your dentist and/or dental specialist to provide the most ideal placement of the fixture to which they attach the prosthesis. This is either a one or two stage procedure. The implant is sometimes buried underneath the gingiva and allowed to heal, a second procedure is then performed to uncover the implant head and attached a connector. These procedures can be offered under local or general anaesthesia. 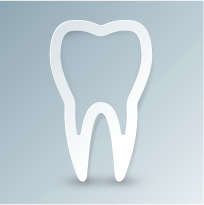 Whether your implant requires one or two stage procedure is specific to every patient. This is decided on by the dentists and specialists looking after your care. “The staff were so lovely helpful when I was so nervous and a hundred questions.They called to make sure I was ok after, I had never had anyone do that before.I could tell they really cared."